When you get involved in an accident in New Jersey and your car is damaged and you want to collect the value for your damage for your car, most people want to go after the other car’s insurance to get paid so they don’t have to pay their deductible. Unfortunately, it’s not always that simple. If the other car insurance agrees that their client is at fault, for example in a rear-end type of situation, then they probably will pay your property damage and your rental expenses. However, if there is any dispute as to who caused the accident, then the other insurance company might not be willing to pay for your damages right away, and it might be easier to go against your own insurance coverage for collision and get your car paid for. In this situation, you will have to go out of pocket for your deductible, but then your insurance will go after the other car to recover that deductible for you. 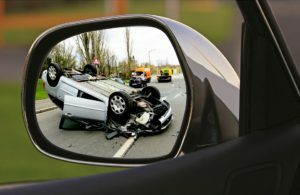 When there is a dispute as to who caused the accident and your case is being settled in court, the jury may have to interview witnesses and take a look at any surveillance videos that may have caught the accident on tape. Even if the accident was partially your fault, there is the chance that you will still be able to recover damages. This clause is only applicable in the event that the accident was less 50-percent or less your fault. If the accident is more than 50 percent your fault, you will not be able to recover any damages.